This one way self-guided tour gives you the opportunity to explore at your own pace. Looking for something more adventurous this winter? This tour promises a truly unique cycling experience. Stop by up to 3 breathtaking Leelanau wineries. Snow Bike the trail that leads you to wineries! Join us for the most unique winter wine country adventure. 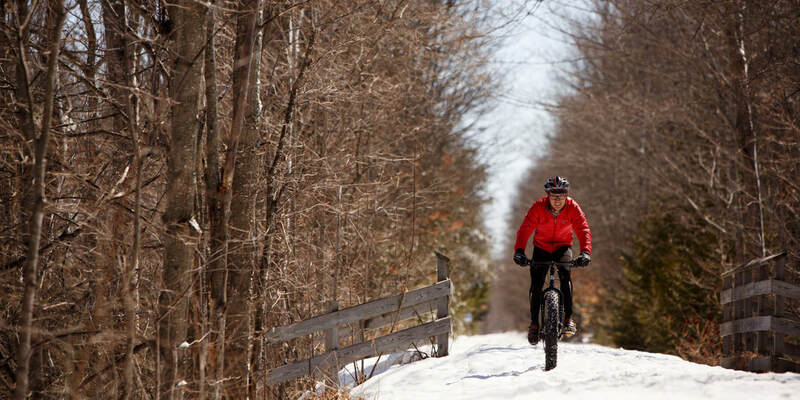 Roll down the groomed Leelanau Trail to two boutique wineries. To aid you in your winter fun, we will pick up your wine and bring you lunch to warm up while overlooking the vineyards. To start your adventure, you will check in to our shop where you will be outfitted with our new lightweight fat bikes. Then head on down the groomed Leelanau Trail. Test out the large tires while they float and grip their way through the snow all while taking in the views and magical scenes of a northern Michigan winter wonderland! Stop into L Mawby Vineyards for some sparkling wine and warm up with homemade soup & fresh bread. Next back to the trail continuing on to Shady Lane Cellars. Warm mulled wine awaits you to warm up followed by a tasting of Shady Lane’s finest varietals. Our staff will meet you at Shady Lane Winery for transportation back to our shop. The Leelanau Wine Trail Fat Bike Adventure starts from our shop in downtown Suttons Bay and finishes at Shady Lane Cellars. The route is easy to follow and we are available to support you throughout the day, whether we're needed or not. We provide service for flat tires, mechanical failures, losing your way, severe weather rescue, transporting wine purchases and just about anything else that may come up. Think of us as a distant command center helping you to pursue your own perfect day. 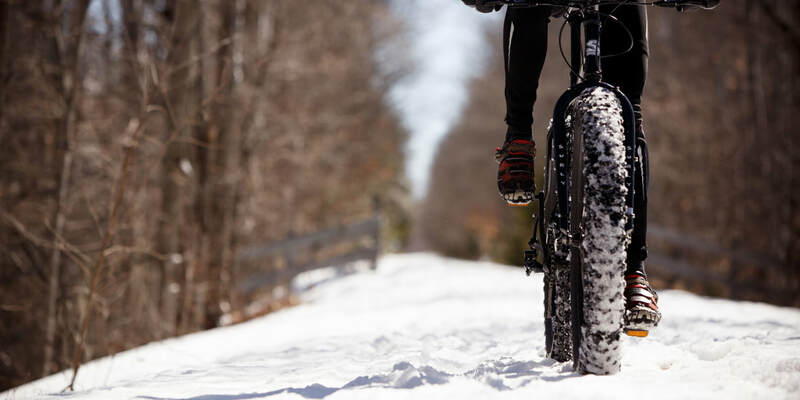 Fat bikes are the perfect way to guarantee a fun adventure with the ups and downs of Michigan winter. You can fat bike with little or no snow. When it does snow a fat bike lane is groomed on the Leelanau Trail. Thanks to fat bikes we can have a two wheeled adventure anytime of year! ​Other than the complimentary Mulled Wine, all other Wine Tasting Fees are not included. Flat, little to no hills. On the chance days with rain, we provide rain jackets to keep you dry and comfortable. You can also contact us to cancel or reschedule your tour. Weather related cancellations are accepted before 10:30am on the day of the tour for no penalty.